Sreenivasa Prasad Mullapudi. 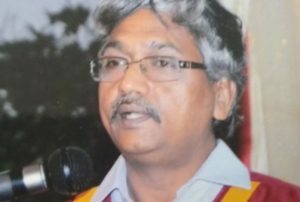 Mullapudi Srinivasa Prasad ia now working as Principal of the Degree college, Tanuku and lives in Tanuku. 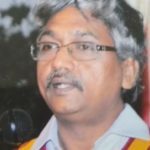 He was born and brought up in Machilipatna in 1959. Sudied in Andhra Loyaola college, Vijayawada and then in CIEFL, Hyderabad. Published short stories and poetry in Telugu. Translated several other Telugu poets too.